Big tropical fruit notes and vanilla with massive overtones of baked bananas. Very smooth and easy drinking. Great for sipping or mixing. 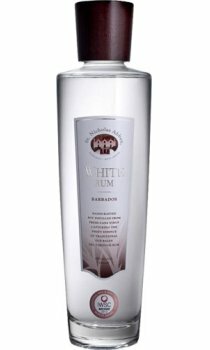 St Nicholas Abbey Unaged, White Rum is affectionately nicknamed See-Through. It is made at St Nicholas Abbey from sugarcane grown at the plantation itself. The cane is crushed in an original 1890s steam driven mill. The cane juice is first condensed and then fermented. After fermentation the wash is then double distilled in "Annabelle" an Arnold Holstein still. The rum is left unfiltered to ensure maximum flavour.